5 Myths About Tarot Card You Should Clarify. Tarot Card : Currently, we inhabit a landscape driven by Science and technology, where accuracy is the hallmark of human progress. In such times, Occult science which is primarily indicative in nature generates doubts about the authenticity of its predictions. This further creates a scope for misinterpretation and misrepresentation of the various predictive tools like Tarot Reading. In this part, I discuss the various myths attributed to Tarot Reading. You might have stumbled upon my blog accidentally, or while researching on a topic related to Occult science and you don’t know much about Tarot Card readings yet. Perhaps tarot card has just appeared on your browsing radar or you’ve been curious for a long time but haven’t got a chance to get convinced. The most interesting part is that over the years, I’ve encountered so many people interested in knowing about their past, present and future just for fun or to test the tarot reader’s skill or to simply to console themselves, get some reassurance to get driven by some or the other myth. READ : What is Palmistry? Some get interested in knowing/learning tarot card reading but felt that it wasn’t accessible to them because they weren’t psychic enough. For the newly tarot-curious, the very word “tarot” is evocative and alluring with its own mythology and mysticism. No doubt, the Tarot card seems intimidating and many fear of getting readings. 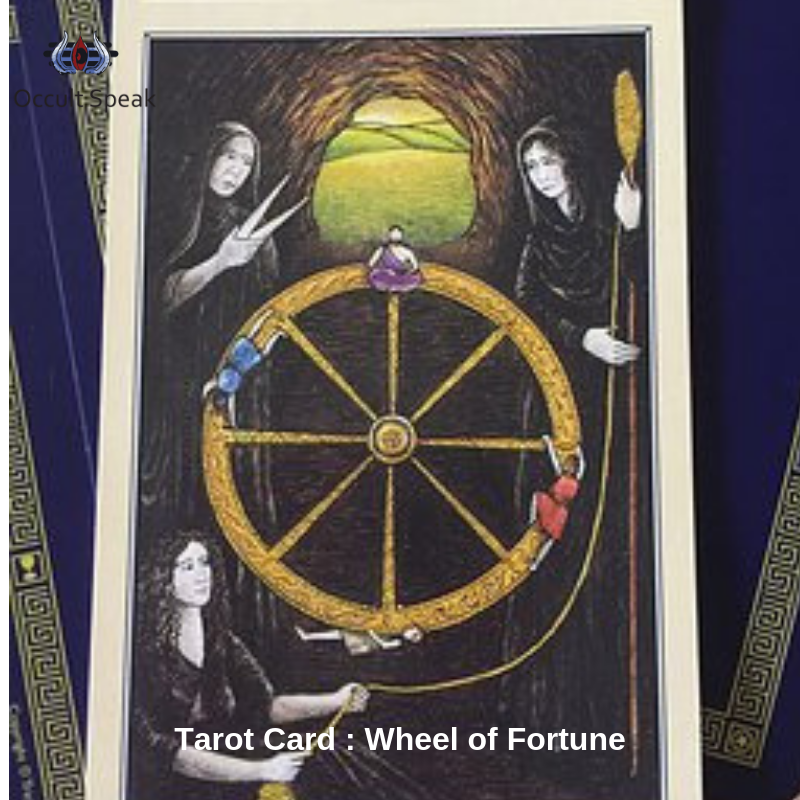 A tarot session is not a fortune telling session, in fact, the aim of tarot is to provide the key insights about you. Through these insights, you can work through your issues or reach critical decisions. The art of tarot reading also known as ‘taromancy’ is now popular as a form of divination as it represents some symbolic meaning for the recipient. The Science or Art of ‘Tarot reading’ is OCCULT the literal meaning of OCCULT is deep, hidden, veiled, mysterious, unknown, unrevealed. Tarot cards reading could be simply understood as something that is present in the universe and is directly or indirectly connected to us, but is hidden and needs to be unlocked and interpreted. Not everyone can become a scientist or an instrument of research but surely a balanced soul who is willing to learn, can seek the knowledge and practice this occult. The Art of Tarot Card Reading carries a myriad of defunct and completely unreasonable myths and superstitions.gaining momentum with the popularity in newspapers, films and television. 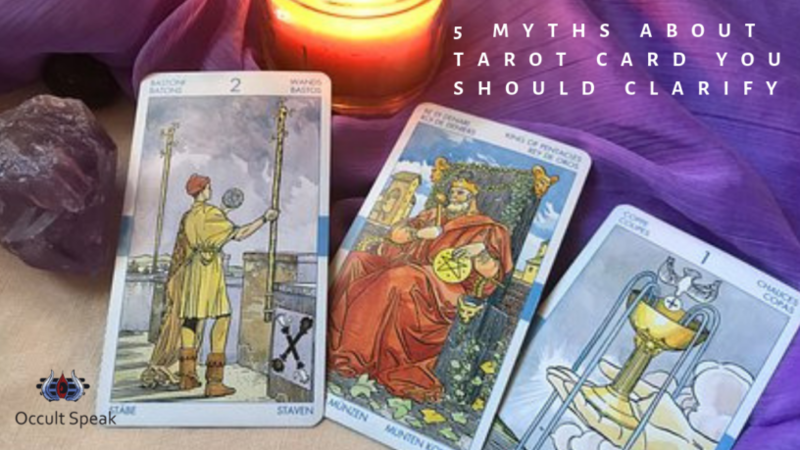 Through this blog, I try to debunk the many unsubstantiated Tarot Card Myths to the best of my knowledge. If the reader is a psychic, clairvoyant or highly intuitive, it does enrich the tarot reading. But anyone can learn the art of reading the tarot cards. In fact, anyone in the world can develop the art of Tarot reading from doctors, specialists and psychologists to police, mathematicians and business people. Most people acquire formal training and engage in the regular practice to build their intuition to a professional level. However, some people pick up the art of Tarot reading with ease. With the right resources, you can even teach yourself to read. All you need to do is say ‘yes’ to your intuition. Each one of us is intuitive but many of us have shut down their intuition, refusing to listen to our inner voice, underplay the intuitive flashes. We get and pass them off as a silly, meaningless what we call gut-feeling. Instead, if we say “yes” to those random, unexplainable messages we can receive those signals to navigate our life’s path. Many times, saying “yes” to going with your heart, not just your head becomes the navigation light Every-one has the ability to acquire information and with a bit of chiselled instinct and use of cognitive skills can leap into understanding any situations. I got driven into Tarot reading by a passion to help people when I felt helpless at one point of time in my life. READ : What are Tarot Cards? It is the intuition, experience, practice and the psychic abilities of the reader that gives Tarot cards their sense of mystery. The images and signals pass the cues and clues as to the life and future of the recipient. Tarot cards are evil, the work of the devil. Again this myth remains untrue. People, who wish to see evil, will see evil. Isn’t it a self-fulfilling prognosis? Just like beauty, the devil is in the eyes of the beholder. Magic or evil spirits do not play any role, whatsoever. A skilled and ethical Tarot reader will always use the cards to assist to enlighten the recipient and provide them with guidance and insight for the future. Not even in a fairytale, have I ever heard of a manufacturer with the power to instil some kind of Evil into a deck of Tarot cards? A Tarot reading done by a highly perceptive, responsive and orchestrated reader can reveal the possibilities of your future. However, reality depends on you. The choices you make determine the twists and turns, the ups and downs of the days ahead of you. To say the Tarot Cards are always right would be a little misleading. I would say, learn to gauge through the interpretations and take the wise decisions and make the best moves you cannot just sit back and wait for things to happen, without any action or reaction unless the cards prompt you to just relax and wait for the right time and not to be proactive at the moment. When we shuffle a deck of tarot cards, some of the cards end up being upside down. These are called ‘reversed cards’ which do not mean the ‘opposite’ of ‘upright’ cards Some people believe that they represent negative outcomes. Well, the experts have clarified that reversed cards in a tarot spread may have different meanings which are not necessarily bad. By ignoring the reversed cards, the reader can deprive the recipient of a complete reading. In combinations, the cards give a deeper insight into the reading. Tarot reading can be done in distance mode too. Thanks to the developed era, a tarot reading can be read over the internet. I do it all the time, to help people get the answers and save them from the stress and turmoil. For a skilled psychic or clairvoyant tarot reader, no physical medium is required between their skills and the recipient. The recipient asks a question and the Tarot reader shuffles the cards. The reader can interpret each card spread/layout, irrespective of the way in which Tarot reading is conducted, the answer will remain the same. As my experience goes, the recipient needs to have faith in the reader and the mystical readings. A doubt or a drop of mistrust may not fetch correct cards and henceforth the desired interpretations. So folks, next time when you come across any of such statements made by a friend or an acquaintance, you know all and what you need to do? Just forward them, this blog. Let me know how you find this blog on Myths on Tarot Cards? We r all children of d Divine and each one of us has an equal capability to interpret His messages…JUST A PURE HEART N LISTENING TO ONE’S INTERNAL COACH(INTUITION) is more than enough. Keep reading and sharing my post. Thanks for reading and motivating me . 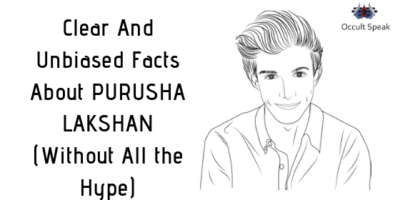 Wow.. that’s an amazing blog..
Keep up the good work..am proud of you! Thanks Suruchi for your kind words..